Stadler Karl, Catalogus manuscriptorum codicum usque ad annum 1600 bibliothecae Angelo-Montanae ordine classico conscriptus et collectus anno 1787, Stiftsbibliothek Engelberg, cod. 271, p. 47f. 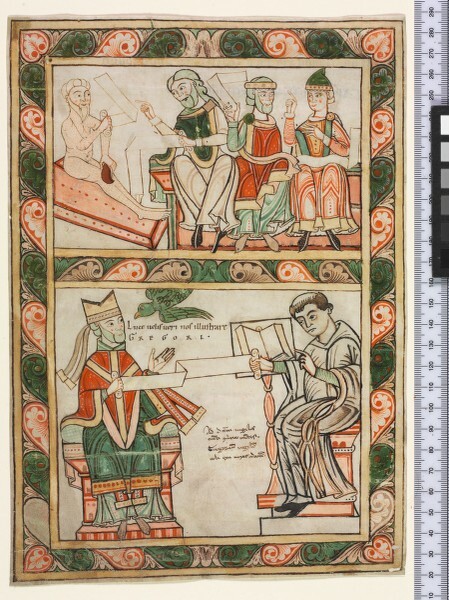 Cleveland, The Cleveland Museum of Art, Purchase from the J. H. Wade Fund 1955.74: Gregorius M., Moralia in Job (Autorenbild) (http://www.e-codices.ch/de/list/one/cma/1955-74).